Getting braces can sometimes be an unnerving experience. 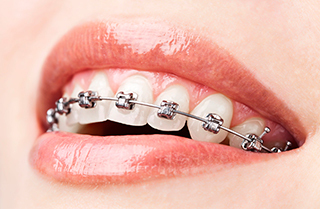 These orthodontic devices used to align and straighten teeth can cause pressure or pain, especially in the first few days and also when they are periodically tightened. 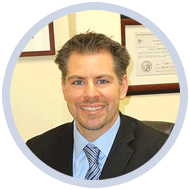 Dr. Bouzoghlanian, our dentist at Prestige Dental in Pasadena, and staff have some tips on how to make the pain subside. Gargle with salt water everyday – Dr. Bouzoghlanian and staff advise individuals with braces to rinse and gargle daily until the pain subsides. This will help relieve the pain and make you feel better. Dissolve one teaspoon of salt per 8oz glass of water and rinse three to four times per day. Avoid acidic drinks – Acidic drinks (like carbonated beverages) will make the teeth more sore. Our dentist recommends sticking to non-acidic and non-spicy drinks. Brush gently – Brush your teeth with a soft bristled toothbrush. Gentle stokes will clean more effectively and without pain. Eating ice cream or cold yogurt – Eat ice cream or cold yogurt 1-2 times a day to reduce the pain. The cool sensation will reduce the pain and provide relief. Take pain killers – take pain killers only when necessary to reduce pain. Apply wax – orthodontic wax can be used to cover orthodontic brackets and other hardware to relieve the irritation on the gums, lips, tongue, or cheeks. This is especially useful in the first several days after brackets are placed. Allow time for the pain to subside – Some of us are quick to take medication at the first feeling of pain. Dr. Bouzoghlanian and staff encourage you to be patient, especially if you’re new with the idea of braces. Be reassured that anything new in your mouth will take time to adjust, and the discomfort should naturally resolve with time. Visit your dentist – Whenever there’s a feeling of extensive pain that results from wearing braces, and the above tips aren’t helping, it’s always advisable to visit your dentist for an evaluation and adjustment. Wearing braces can be uncomfortable, but if you follow the tips above to protect and care for your teeth, you’ll eventually love the idea of having them. If you have any other inquiries about braces, remember to visit our dentist in Pasadena at Prestige Dental, Dr. Bouzoghlanian. We are here to make your orthodontic treatment as pleasant as possible!